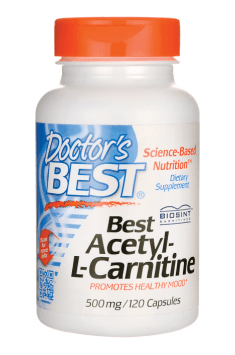 Best Acetyl L-Carnitine 120 caps. L-carnitine in the best-available form. it's commonly used among athletes because improves efficiency and helps with burning fat. Studies say that even in high doses, it's safe for the body. I know from experience that 2000 mg (4 tablets) per day is enough to achieve the desired effect. You can divide it into several doses and take them in the morning (1 tablet), afternoon (2 tablets) - if you train, then take it before a workout and before bedtime (1 tablet). This will allow you to maintain a stable concentration of L-carnitine in the plasma.